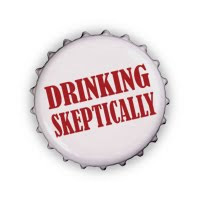 The Cleveland Skeptics recently had a meetup entitled A Skeptical New Year. At this meetup we discussed psychic predictions by Sylvia Browne. We then decided to make our own "psychic" predictions for the year 2011. What follows are the predictions from all those Cleveland Skeptics who participated. There will be a major internet outage through much of the US. Two country singers will die together in a tragic car crash. A major US political figure will come out as gay. Paris Hilton will be hospitalized for a drug overdose. Christopher Hitchens will pass away, but no death bed conversion. A Republican will say something stupid. Compelling new evidence will be found for the "Multiverse" theory. Cleveland Freethinkers membership will reach 700 or more. FOX News will produce false-negative reports about the Obama administration. Peace and love will prevail in the world. Glenn Beck will be involved in a big scandal and fired from FOX. I predict that people will begin seeing Michael Jackson in high-end antique stores, or cub scout meetings. The great musician Jimi Hendrix will return on the mother ship from whatever nether region of the universe he has been dwelling for the last 40 years. The Cleveland Skeptics will reach over 400 members. Josh(me) will become President in 2026. Unemployment will rise to 10.1% before end of 2011. Income inequality will reach a new high. US poverty rate will increase by at least 2%. The sky will turn dark once in 2011 somewhere on Earth during daylight hours. The sky will be filled with blazing trails of light on Monday, January 3. A magnitude 8.0+ earthquake will strike Sarah Palin's Alaska. There will be a big earthquake in California. President Obama will officially close Gitmo. 1. Micro meteor strikes in the Indian Ocean - between 3 & 7 magnitude earthquake off the west coast of US. You may have heard that Wal-Mart is going "international". I predict that Wal-Mart will go into some 3rd world nations driving whole countries out of business. But, there is hope. Out of the ashes of destruction, like the phoenix, a new nation will rise! And it will be called the country of Wal-Martistan. Steve Jobs will come out with a new version of the IPad. Gay marriage will be legalized in half the states. Marijuana will be fully legalized in at least two states. President Obama's administration will be plagued with a scandal that will doom Obama's chance for re-election. Oprah's new network will fail miserably. There you have it! The Cleveland Skeptics predictions of 2011! Unlike most psychics we will be keeping track of both the misses and hits. We will also take note of the partial hits as well. Happy New Year!